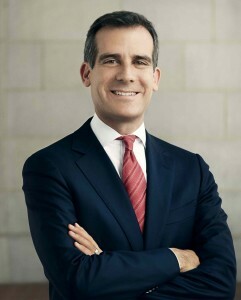 Garcetti was elected four times by his peers to serve as President of the Los Angeles City Council from 2006 to 2012. From 2001 until taking office as Mayor, he served as the Councilmember representing the 13th District which includes Hollywood, Echo Park, Silver Lake, and Atwater Village — all of which were dramatically revitalized under Garcetti’s leadership. LA City Council President, Herb J. Wesson Jr.
Councilmember Herb J. Wesson, Jr. was unanimously elected President of the Los Angeles City Council on November 23, 2011 and officially took office January 2, 2012. He was elected to represent the 10th Council District of the City Los Angeles in a Special Election in November 2005. The voters of the 10th Council District recognized Wesson’s long service to the community by giving him their overwhelming support – 80 percent of their votes. He was re-elected in 2007 and 2011 by wide margins. Throughout his 20-year career in government, President Wesson is well known for his uncanny ability to bring people together. He began his career as Chief of Staff to former 10th District Councilmember Nate Holden and later as Chief of Staff to 2nd District Supervisor Yvonne Burke. In 1998 he was elected to represent the 47th State Assembly District – a position he held until term limits forced him to step down in 2004. While serving in the Assembly, his peers accorded him the greatest honor by unanimously electing him the 65th Speaker of the California State Assembly – one of the three most powerful positions in state government. He was only the second African American to be elected Speaker of the California State Assembly. As Speaker, Wesson fought to protect society’s most vulnerable and to pass groundbreaking legislation on the environment, education and healthcare. A native of Cleveland, Ohio, Wesson is the son of blue-collar parents who taught him the value of hard work and persistence. In 1999, he fulfilled a promise to his family and completed his BA in History from Lincoln University in Pennsylvania – nearly 30 years after an illness in the family prevented him from finishing his senior year. I began my term as Councilmember of the 8th district on July 1, 2015. I am devoted to promoting the greatness of our district, one with a group of diverse residents and a rich legacy. We have much to be proud of in “The Eighth,” as it is my personal belief that the greatest assets in this district are its people. I am eager to serve you and I look forward to being your voice at City Hall. Together we can build a brighter future for South Los Angeles. Since he was overwhelmingly elected in November 2008 and reelected in June 2012 to the Los Angeles County Board of Supervisors, Mark Ridley-Thomas has distinguished himself as an aggressive advocate for the Second District’s nearly 2 million residents. He has promoted the district’s interests on a variety of fronts, including transportation, job creation, retention and local hiring. In the area of health policy, Supervisor Ridley-Thomas has overseen the construction of a new Martin Luther King Jr. Community Hospital, as well as a network of cutting edge healthcare facilities throughout the district; he has facilitated the use of technology and encouraged an integrated approach to wellness that includes mental health care and a prominent role for school-based clinics. His advocacy has helped secure an equitable share of funding for public-private partnership health clinics in underserved areas. Prior to his election to the Board, Supervisor Ridley-Thomas served the 26th District in the California State Senate where he chaired the Senate’s Committee on Business, Professions and Economic Development. He served as Chair of the California Legislative Black Caucus in 2008 and led the Caucus in unprecedented levels of cooperation and collaboration with counterparts in the Latino, and Asian-Pacific Islander Legislative Caucuses. 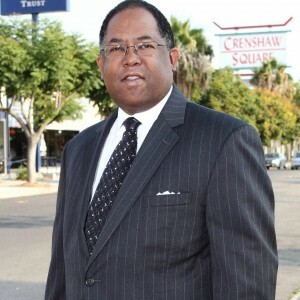 Mark Ridley-Thomas was first elected to public office in 1991 and served with distinction on the Los Angeles City Council for nearly a dozen years and departed as Council President pro Tempore. He later served two terms in the California State Assembly, where he chaired the Assembly Democratic Caucus. His legislative work addressed a broad range of issues with implications for economic and workforce development, health care, public safety, education, budget accountability, consumer protection and civic participation. He is widely regarded as the foremost advocate of neighborhood participation in government decision-making. By virtue of his founding of the Empowerment Congress, arguably the region’s most successful twenty year experiment in neighborhood-based civic engagement, he is considered the founder of the Neighborhood Council movement. The supervisor is a graduate of Manual Arts High School in Los Angeles and earned a baccalaureate degree in Social Relations (minor in Government) and a master’s degree in Religious Studies (concentration in Christian ethics) from Immaculate Heart College. Supervisor Ridley-Thomas went on to receive his Ph.D. in Social Ethics from the University of Southern California focusing on Social Criticism and Social Change. 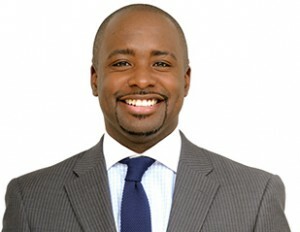 He is married to Avis Ridley-Thomas, Co-Founder and Director of the Center for Non- Violence in Los Angeles. They are the proud parents of Morehouse College graduates Sinclair and Sebastian, a California State Assembly Member. 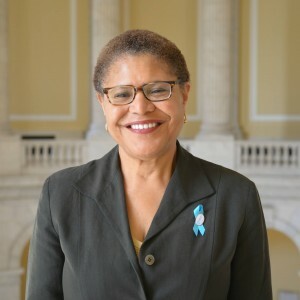 Congresswoman Karen Bass was elected to her second term representing the newly drawn 37th Congressional District in November 2012. In Congress, she has been an outspoken advocate for balanced fiscal policies that preserve the social guarantee to seniors and invest in the future. She was selected by Democratic leader Nancy Pelosi to servie Steering and Policy Committee, which sets the policy direction of the Democratic Caucus. She is also playing the leadership role in the Congressional Black Caucus, where she serves as whip for the 113th Congress. After six years in the Legislature, Councilmember Curren Price won the race for 9th district Los Angeles City Council. He is a strong advocate for investing in public schools, empowering parents and challenging students to meet higher academic standards. He seeks to give all Californians, regardless of income or socioeconomic status, the chance to go to college or develop the skills need to succeed in today’s highly competitive workplace. He is also is making efforts to support homecare workers, hotel workers, security guards, probation officers and other workers vital to California’s economy. 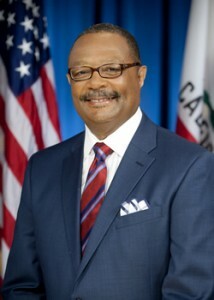 Reginald Byron Jones-Sawyer, Sr. most recently, the Director of Asset Management for the City of Los Angeles was elected in November 2012, to represent California’s 59th Assembly District. The entire district lies within the county of Los Angeles and includes the communities of South Los Angeles, Florence-Firestone, Huntington Park and Walnut Park. 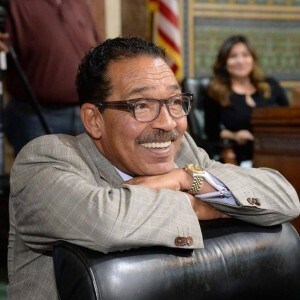 His history of public service includes serving as Chair of the LA County Small Business Commission, an Assistant Deputy Mayor for the City of Los Angeles and Vice President of SEIU’s (Local 721) Los Angeles Professional Managers Association. The Jones-Sawyer family were early pioneers in the civil rights movement. His uncle was one of the “Little Rock Nine”–high school students who braved violent mobs to integrate Little Rock Central High School in 1957; one of the most important and documented events in our nation’s history. Jones-Sawyer earned a Bachelor of Science in Public Administration from the University of Southern California, and completed the prestigious Harvard University, Kennedy School of Government program, for senior executives in state and local government. While serving as Assistant Deputy Mayor for the City of Los Angeles, Mr. Jones-Sawyer transformed the bureaucratic quagmire of the city’s permit development process into a more “customer-friendly” agency that expedited the creation of the Magic Johnson Theater empire and Staples Center Arena. 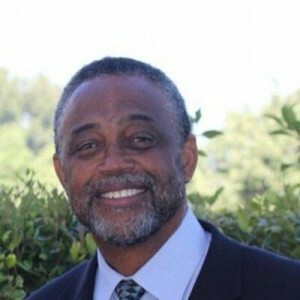 Jones-Sawyer also served as chair of the Baldwin Hills Conservancy, USC Black Alumni, New Frontier Democratic Club and the Los Angeles Chapter of the American Society for Public Administration. He is the divorced father of three; Reginald, Jr., Lauren and Evan. First elected in 2014, Autumn R. Burke represents the 62nd District in the California State Assembly. Her economically and ethnically diverse district is home to several of the region’s most popular beaches, Los Angeles International Airport, and the Los Angeles Forum. A Los Angeles native, Assemblywoman Burke is an entrepreneur and small business owner with a proven record of business development and community outreach. She’s worked to help provide pathways to green technology and energy efficiency for neighborhoods big and small. She’s taken that same passion for innovation to Sacramento with a focus on policy to expand access to health care, education and solid jobs for all. Throughout her career, Burke has maintained a passion for serving the community. She is a member of Count Me In for Women, an organization that promotes the growth of women-owned businesses. She’s also a board member of the Yvonne Burke Foundation, which provides scholarships for young people in Los Angeles County to attend colleges and universities as well as career training programs. A longtime supporter of the Compton Jr. Posse, Burke helps give at-risk youth alternatives to street life through creative programs that foster a greater sense of belonging. 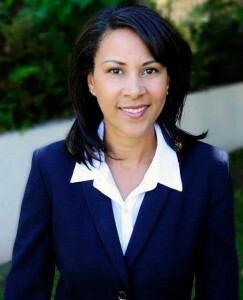 Burke is the daughter of former Los Angeles County Supervisor, Assemblywoman and U.S. Congresswoman, Yvonne Burke. Autumn Burke’s election to the legislature marks the first time in California history that a mother and daughter have both served in the State Assembly. Assemblywoman Burke is the chair of the Assembly Select Committee on Career Technical Education and Building a 21 Century Workforce, and a member of the Assembly Committees on Accountability and Administrative Review, Health, Housing and Community Development, Utilities and Commerce, and Rules, as well as the Legislative Black Caucus, Legislative Environmental Caucus, and the Legislative Women’s Caucus. She represents the cities of Inglewood, Hawthorne, Lawndale, El Segundo, and Gardena, the Los Angeles neighborhoods of Westchester, Playa del Rey, Playa Vista, Venice, and Del Rey, and communities of Del Aire, West Athens, Lennox, Westmont, and Marina del Rey. George McKenna III was born in New Orleans into a family that was steeped deeply in the culture and history of the city. At the age of twenty, he received a B.A. in mathematics from Xavier University and was awarded a teaching fellowship to Loyola University, where he earned an M.A. in mathematics. He also holds a doctor of education degree from Xavier University. In 1962, McKenna accepted a teaching position in the Los Angeles Unified School District. 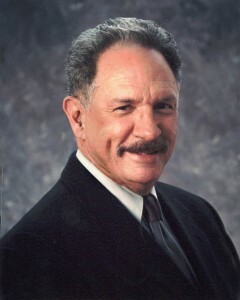 While continuing his education at Loyola University Law School, the University of California, Los Angeles and California State University at Los Angeles, McKenna remained a teacher, working at both the secondary and college levels. McKenna became principal of George Washington Preparatory High School in 1979. At the time, this high school was one of the most notorious and violent in Los Angeles, replete with gangs, drug dealing and gun fights. McKenna and his reform tactics turned George Washington Preparatory High School around, transforming it from a failing institution to one where nearly eighty percent of its graduates went on to college. McKenna’s programs have been modeled throughout the nation. He has served as a consultant to numerous school districts and law enforcement agencies. He is also the author of several articles that have appeared in local and national newspapers and educational journals. McKenna has received more than 400 citations and awards from civic, legislative and professional organizations. His work led to his being the subject of the award-winning CBS movie, The George McKenna Story, starring Denzel Washington. In 1989, McKenna received the Congressional Black Caucus’ Chairman’s Award and in 1997 was elected into the National Alliance of Black School Educators’ Hall of Fame. Reporter Pat Harvey joined Los Angeles’ KCAL 9 in 1989, alongside the late Jerry Dunphy on the anchor desk. In April 2010, Harvey began co-anchoring for KCAL 9’s sister station KCBS news at 5 p.m. and 11 p.m. She is the longest-running anchor in prime time at one station in Los Angeles. For her 20th anniversary, the city of Los Angeles and Los Angeles County Board of Supervisors declared October 30, 2009, Pat Harvey Day. Harvey was inducted into the National Association of Black Journalists Hall of Fame at the Newsuem in Washington, D.C. in January 2012. She has also received 19 local Emmys, L.A. Press Club, RTNA Lifetime Achievement Award and the AWRT Genii Award. 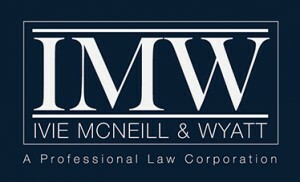 Ivie, McNeill and Wyatt, a professional law corporation is an accomplished law corporation and firm with a diverse range of practice areas. Attorneys for the firm provide a high level of professional legal service to clients to various areas such as general liability, medical malpractice, entertainment and business litigation. The firm has been serving Los Angeles area since 1943 when it was first organized by retired Superior Court Judge, Earl C. Broady, Sr.